The negative impacts of low oil prices that have struck Western Canada will reverberate across the entire national economy, the head of the Bank of Canada said at a speech in Toronto Thursday. The negative impacts of low oil prices that have struck Western Canada will reverberate across the entire national economy, the head of the Bank of Canada said Thursday. 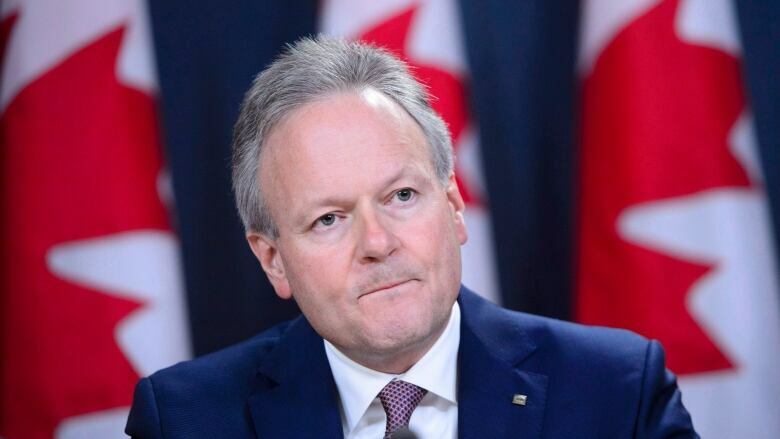 Speaking to reporters after the speech, Poloz said the adjustment from that oil price drop was "speeded up by the fact that we cut rates twice in 2015." The stronger economy has put the central bank on a rate-hiking path — to keep inflation from running too hot — for more than a year. It raised its trend-setting interest rate at its October meeting for the fifth time since the summer of 2017. "In terms of the Canadian economy, it is fair to say that the data released since our October [monetary policy report] have been on the disappointing side," said Poloz. With files from CBC's Peter Armstrong.